Kata kunci: Romanov Dynasty, Bolsheviks, Communism, Central Asia. This paper attempts to discuss the process of the fall of the Romanov Dynasty and the rise of the Communist-Bolshevik power as well as the efforts of Muslim nations to liberate their country, Central Asia, from the colonialist occupation of Russia. After the fall of the Rumanov regime, the communist authorities were unable to maintain the territorial integrity that they defeated. The fall of the Romanov Dynasty provided an opportunity for nationalist Muslims to liberate their country in Central Asia. Nationalist Muslims’ independence struggle was initially politically supported by the Bolsheviks who still faced an internal conflict with the non-Bolshevik groups and supporters of the Romanov regime. After successfully defeating their Russian rival, the Bolseheviks withdrew their support and combated Muslim countries that had been independent. The Bolsheviks did have to maintain their power in Central Asia in which they got very significant amounts of foreign exchange, either of natural resources or agricultural products. In addition, Central Asia is a region that can be a place to move the expansion of communism to countries in South Asia and Middle East. Hamim, Thoha. 2014. 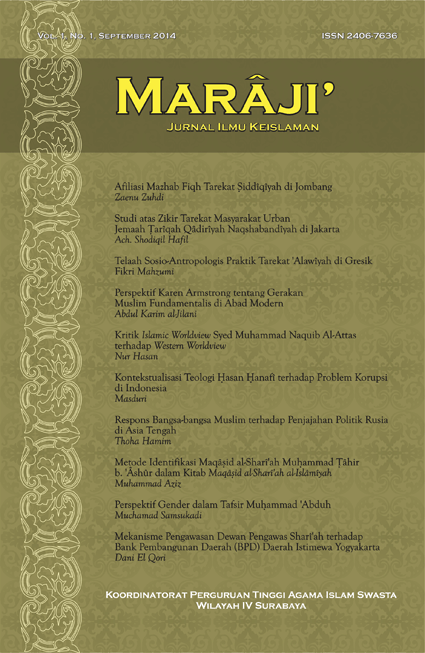 Marâji`: Jurnal Ilmu Keislaman 1 (1), 181-215. Accessed April 25, 2019. http://maraji.kopertais4.or.id/index.php/maraji/article/view/15.